I got sick for 3 days, I literally laid in bed for 3 days watching Mad Men on Netflix and Pinteresting my way to getting better. Occasionally I'd sleep. 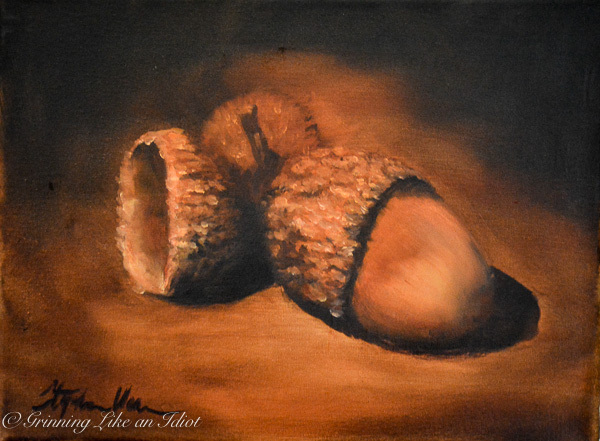 One time when I slept, I literally dreamed about painting acorns. :) So I did.